An Original Vintage Theater-Used Folded French Movie Poster (1sh; measures 47" x 63") Condition: Excellent (C8) See our 10 GRADE SYSTEM Page for more information. 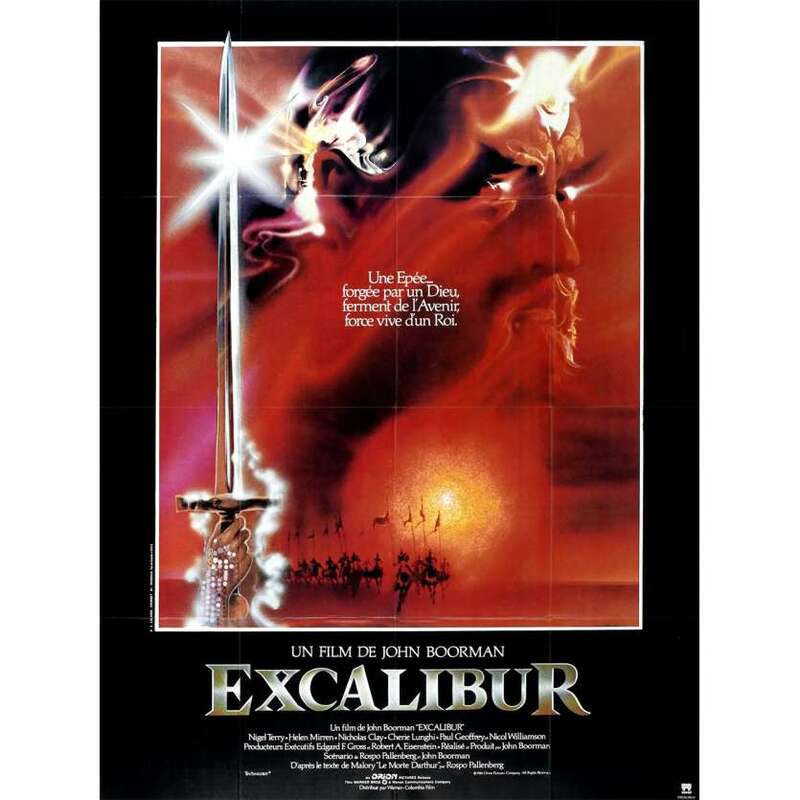 Excalibur is a 1981 fantasy film that retells the legend of King Arthur and the knights of the Round Table. Adapted from the 15th century Arthurian romance, Le Morte D'Arthur by Thomas Malory, Excalibur was produced, directed and co-written by John Boorman, and featured the music of Richard Wagner and Carl Orff. It starred Nigel Terry as Arthur, Nicholas Clay as Lancelot, Helen Mirrenas Morgana, Liam Neeson as Gawain, Nicol Williamson as Merlin and a relatively unknown Patrick Stewart as Leondegrance. The film is named for the legendary sword of King Arthur that features prominently in Arthurian literature.